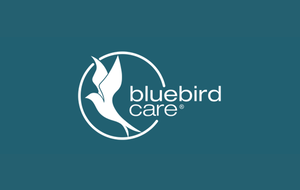 To view more information on Bluebird Care click here. Bluebird Care is a management franchise. Franchise owners grow and develop the business and ensure that caring and highly trained staff are recruited to deliver the highest standards of homecare and support to customers. The Bluebird Care Franchise Support Centre places unrivalled business support at your fingertips, therefore experience in homecare is not essential. However, what we look for is a disposition for determination, empathy and passion. Prior homecare experience is not needed and many of our Franchise Owners have no sector experience. However, they all share an empathy with what we do and the importance of providing a high quality care service. We seek franchise owners with commitment, drive and enthusiasm for the business, rather than searching for relevant experience. We will teach you the care industry. Bluebird Care provides top class training for all our franchise owners and their staff. Current and up to date, our award-winning approach ensures that franchise owners and their teams are ready to hit the ground running and provide the very best homecare and support in a rewarding business environment. Throughout UK & Head Office. Supporting our franchise owners in starting and developing their businesses is a cornerstone of Bluebird Care’s success. We have a highly experienced team in place to provide high quality support in a number of areas. The franchise support centre combines a central team and a field based team designed to give critical business support throughout the business lifecycle. From finance, business systems, IT, marketing and PR to field-based business development and quality assurance support. Areas of Priority Development: Throughout the UK. Management Service Fees Payable: 5% + VAT of monthly turnover. Breakdown of Package: Four month start up programme including residential training courses for franchise owners and their staff, care management software and training & support, complete stationery package, staff training, business launch programme, staff uniforms, accreditation application and fees for care registration. Financial Assistance Available: NatWest, Lloyds, HSBC, RBS.